Camping Forteca es un camping en Uciechów, Baja Silesia, situado al borde de un lago/estanque de recreo. El camping tiene plazas con sombra, sin sombra y parcelas con algo de sombra. Cabe alquilar casas rurales y habitaciones. El camping dispone de parque de recreo. No tendrá que cocinar todos los días, porque en el camping hay restaurante (con una amplia oferta). En el camping podrá adquirir pan fresco. Es posible utilizar el internet, pues el camping dispone de uno o de varios ordenadores con conexión a internet y en el 80% del camping se puede navegar por internet con el ordenator portátil. Este inspector visita cada año al Camping Forteca y lo inspecciona considerando más de 200 servicios y otros aspectos importantes. El inspector es un trabajador de ACSI y no trabaja para el camping. A beautiful campsite situated in an elevated position around a small fish filled lake. The owners Matyus and Anna, a Dutch/Polish couple are extremely welcoming, approachable and provide a helpful information pack about the surrounding area's places of cultural interest and practical info about shopping, etc. They have landscaped the site and planted it to create an informal, bird filled parkland with spacious pitches and pleasant views over the lake. Toilets, shower facilities, washing-up areas, etc, are new and spacious and there is a bar and restaurant, which offer basic local snacks and meals, and which are well used by locals, especially at weekends. We enjoyed relatively traffic-free cycling through the surrounding countryside, based on routes provided in the information pack. The campsite was almost empty in our stay there, our planned visit of three days extended to eight days, although it will fill up in high season. Nice site spread out around a lake. The site was busy when we were there late July and doubt the one toilet/shower block would be adequate when full. Popular with families. No marked pitches but most of the site fairly level. Didn't try the restaurant but it was popular. Travelling around Europe in our rented RV in September 2014 we encountered this campground near the city of Wroclaw. What a great place to stay, we had view right over the lake. It is a bit hard to find but once you're there you don't want to leave. It is one of those places we are definitely planning to revisit some day, just to see what's new and how it develops. The owner is passionate about his enterprise and goes to great lengths to ensure you have a nice stay. I really liked the ambiance, it is relaxing due to a complete lack of rules, therefore people use their common sense. This makes it a welcoming, warm and relaxing place to be. Upon arrival we received a brochure with all valuable landmarks and sights in the area as well as two maps for hiking and cycling. The area is particularly attractive since the mountains are just a few miles away, a mid sized town nearby provides all the necessities like markets, shopping and some historical sites. As for the campsite itself: it's located around a small lake, views are magnificent, facilities are maintained very well and always clean. There is a restaurant at site where you can try Polish and European kitchen. We will be back and we wish the owners all the best. ¿Desea reservar u obtener más información sobre su Camping Forteca? Puede hacerlo mediante los datos siguientes. Desde la A4 sal. Udanin por Swidnica dir. Dzierzoniów (ctra. 382). Antes de llegar a Dzierzoniów gire a la izq. en la rotonda, a la ctra. 384 y luego la 2a sal. a la izq. dir. Uciechów hacia la calle paralela. 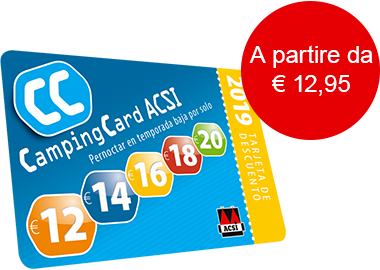 ACSI Eurocampings reenvía su solicitud de información al "Camping Forteca".